Established in 1923. LSE's Oldest Student Society. 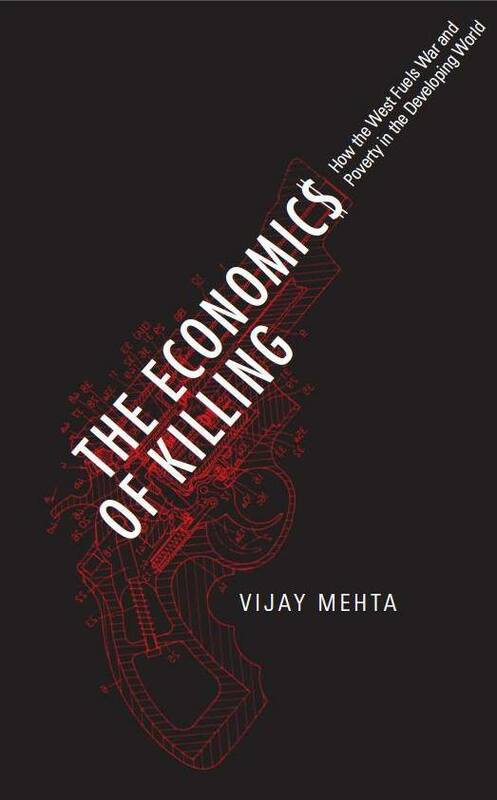 Join us for an exciting evening with Vijay Mehta, where he will be discussing his new book, The Economics of Killing! He will discuss how the power of global elites, entrenched under globalisation has created the deadly cycle of violence we find ourselves in today. Working since 1979, Uniting for Peace is a non-profit organisation devoted to creating and promoting a global culture of peace, nonviolence and poverty reduction. The flagship campaign of Uniting for Peace is called 4D for World Peace. It is campaign to create global frameworks for taking actions on interconnecting global issues of disarming and demilitarising the world and the savings thus achieved to be deployed for development and democracy.Uniting for Peace (www.unitingforpeace.org) and Founding Trustee of Fortune Forum Charity (www.fortuneforum.org). Fortune Forum was founded by his daughter Renu Mehta. Fortune Forum held summits (2005 and 2006) where Former US President Clinton, Former US Vice President Al Gore and Actor Michael Douglas were keynote speakers. The summits raised over a million pounds for charity and attracted a worldwide audience of 1.3 billion people (one fifth of humanity) including print and media coverage. Vijay Mehta’s books include The Economics of Killing (2012), The Fortune Forum Code: For a Sustainable Future (2006), Arms No More (2005) and The United Nations and its Future in the 21st Century (2005). He has appeared in various TV programmes including BBC World, Press TV, Ajtak-24 hour Indian news channel, and Think Peace documentary, Canada, among others. The Sunday Times, Independent, Observer and Guardian newspapers, among other journals have written about him. His life is devoted to the service of peace, humanity and our planet. Vijay Mehta is the recipient of the Global Indian Karmaveer (Action hero) Puraskaar (Award) by iCONGO (International Confederation of NGO’s). He is now a noble-laureate 2012 – 2013 of the iCONGO team of advisors and mentors (www.icongo.in). It is an award for outstanding luminaries working for peace and social justice. Vijay has been appointed as a fellow of the New Westminster College, Province of British Columbia, Canada in 2013.